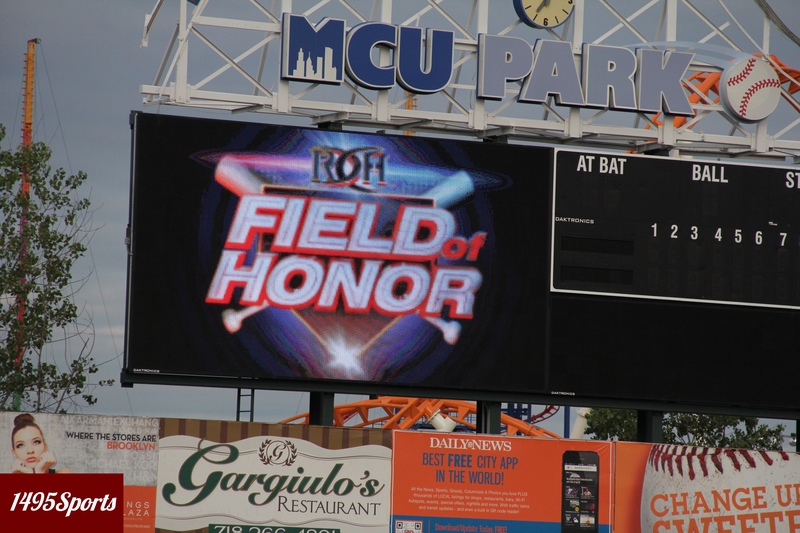 Ring of Honor Wrestling (“ROH”) will return to Brooklyn, New York on Saturday, August 22nd, 2015 to present Field of Honor at MCU Park on Coney Island. The event will feature championship bouts, top ranked wrestlers and the distinctive next generation wrestling that makes ROH the world’s most innovative brand of pro wrestling. Scheduled to appear: ROH World Champion Jay Briscoe, ROH World TV Champion Jay Lethal, ROH World Tag Team Champions reDRagon, the Phenomenal AJ Styles, Mark Briscoe, The Kingdom with Maria Kanellis and more. A full line-up will be available in the coming weeks exclusively at: www.ROHwrestling.com. Tickets for this event will be on sale for Ringside Members on Wednesday, April 1st at 10 AM, by CLICKING HERE. Ringside members will need a pre sale password. If you are not yet a Ringside Member, click HERE for more info on how to sign up. Tickets for the general public go on sale this Friday, April 3rd at 10 AM at at brooklyncyclones.com, on the phone through 718-507-TIXX, or in person at the MCU Park Box Office.